“Shakespeare’s American Home” needed a new website, and Gameflow Interactive asked us to design it. 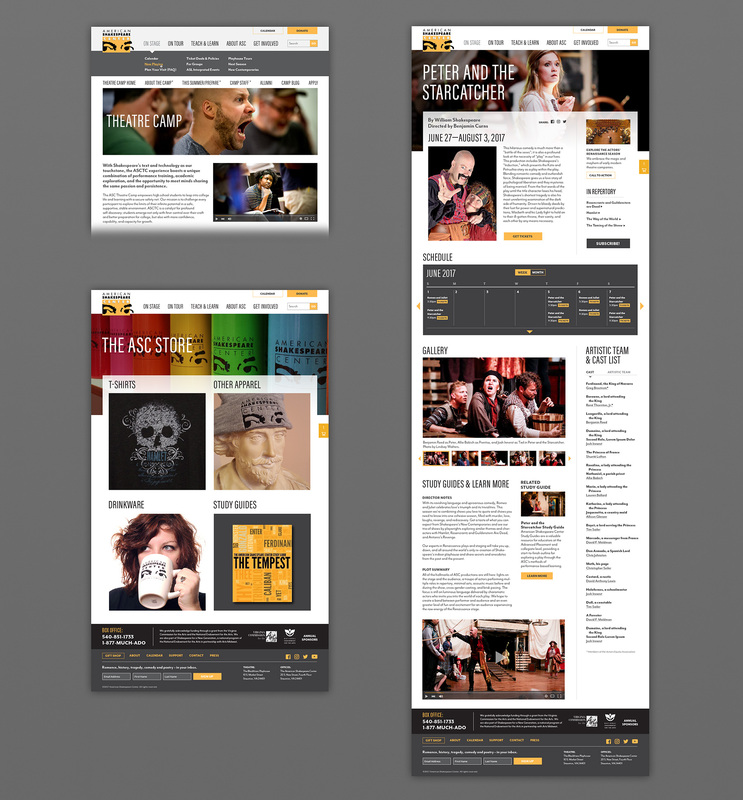 The site is very complex and serves up a ton of information for their local and traveling shows as well as their educational programs. 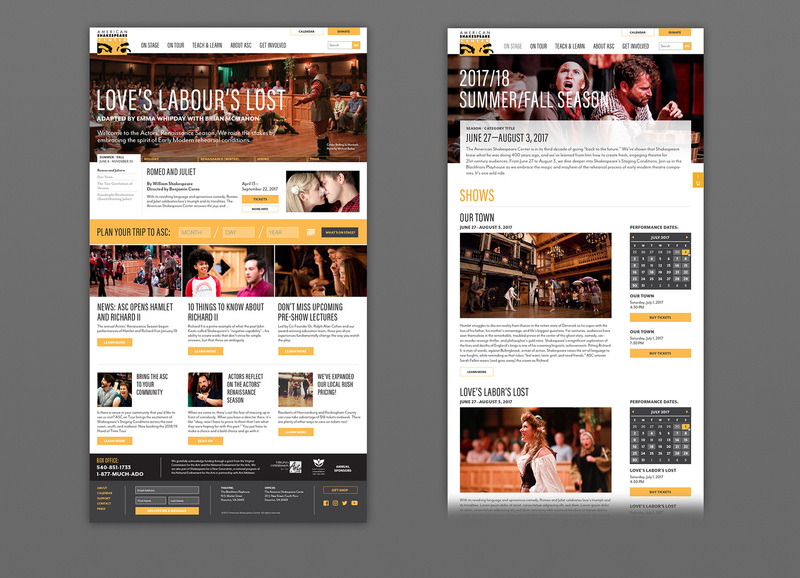 The home page and Season page. The Camp subsection, store, and a show detail.